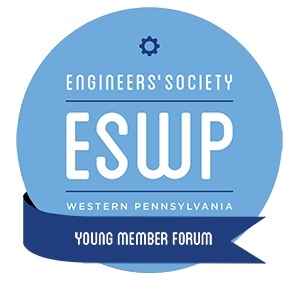 The Engineers’ Society of Western Pennsylvania Young Member Forum (YMF) provides an opportunity for engineers to start networking early in their careers. This ESWP membership is available to all members age 35 and under (also known as U-35), and is intended to help young engineers build their professional network, earn continuing education credits at our technical programs, and interact socially at various events planned throughout the year. We also strive to connect with universities and high schools to promote STEM activities by visiting and discussing what engineering is and how we can advance their careers to the next level. We hope to see you at our next event, click here to find out when and where! Jeff Gruber, Civil & Environmental Consultants, Inc.